In today’s scripture covering the words of Jesus, we look at Luke 4. This is a continuation from yesterday’s message in Luke 3, where John the Baptist taught about repentance, turning from sin, and being baptized. Luke 4 picks up after Jesus’ baptism and goes right into Jesus being tempted by Satan in the dessert. 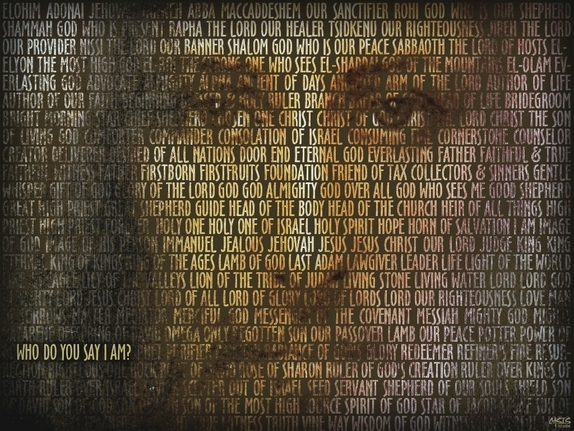 I love this picture of the human side of Jesus, and I’m going to look across the other gospels to show this full picture, because I love everything about this passage! Matthew, Mark, and Luke each record different aspects of the temptation. Most bible scholars agree that Jesus was fasting in the wilderness for 40 days, during which time Satan was tempting him. At the end of the 40 days, Satan tempted him with three specific things that are recorded in detail (Matthew 4:1-11, Mark 1:12-13, Luke 4:1-18). The situation is intriguing from the very beginning. The Holy Spirit directs Jesus to go to the wilderness to be tempted. Jesus was sent there for a purpose! A lot of times I think we create and walk right into our own messes – we made choices that lead to the storm we find ourselves smack dab in the middle of… But there are other situations that truly pop up out of the blue, and we are left scratching our heads with questions like… Why am I here? How did this happen? What am I supposed to make of all of this? Just maybe we are led there for a reason. Jesus was led by the Holy Spirit into this temptation for a purpose. And we shouldn’t underestimate the power of the Holy Spirit to lead us to places that have tempting situations. Why? Why would He do that? God uses victory over temptation as an example for others. What example is God using in your life for others? Is there an area you need to take a more black and white stand, as an example for others? Are you tempted to stay silent when you need to speak truth into a situation? Next, we look at how Jesus was tempted. Sounds pretty familiar to the same types of things we are tempted by… physical needs and desires (bread), power (the world), and lastly, He was tempted to test God (throw Himself off the mountain). Jesus was tempted in the same ways that Satan tries to tempt us today. It’s pretty cool that Jesus walked before us and showed us exactly what to watch for! When you think of these three areas of temptation, is there one you need to take hold of today and claim victory? As cheesy as it sounds, I like to say them out loud. There’s power in verbally declaring victory over the enemy! The last piece of Jesus’ temptation is His Father’s care and compassion. After Jesus endured the temptation, God sent help (His angels) to comfort and minister to Jesus. I really don’t know exactly what this means (not much is explained), but I’ve always envisioned some sort of angel cheerleading situation. V-I-C-T-O-R-Y, GOOOOOO JESUS! Oh, and I also picture them carrying lots of bread. All the bread. As a grain-a-holic myself, my version of this story is with a satchel full of naan, baguettes, bagels, all of it. I mean, Jesus was fasting for awhile!! In all seriousness, when we are in the middle of a temptation, we can look forward to being replenished by our Father. God will restore our weary souls. Can you look back and see this provision in your life? God is so gracious to give us this fully-man Jesus to walk before us and show us how to do life on earth. It’s no coincidence that this temptation by Satan occurred right after Jesus’ baptism. The enemy doesn’t want us to gain any ground in our faith walk. When we declare our commitment and belief in God, the enemy will work to shake us. Let’s follow Jesus’ example and be ready, armed with the Word of God! One statistic that I often share when talking about the Front Porch Initiative is the statistic that self-centeredness has increased 30% in the past 30 years among college students according to a study conducted by San Diego State University. This narcissism has impacted our ability to show empathy and will continue to have an impact on our communities. That’s why deepening our relationships and getting to know others is so important. Today in Matthew 20 we read about a mother putting her own desires first for her children above God. Jesus had just got done telling his disciples on their journey to Jerusalem that he would be leaving them soon. That He would be mocked, flogged, and crucified. Still, just like we can do, just like I can do, we think of ourselves and what’s in it for us. Not what is eternally most important. Sadly, the next story shared in Matthew 20 after Jesus foretelling His death is the request of power/position in Heaven and being able to sit on the right and left of Jesus. I can only repent and pray for Jesus to work on my selfishness. To grab hold of my heart and mind as I look not to myself or this world, but to Him. Put my pride in check. Here are a few reminder verses that can remind me God’s view on pride. Proverbs 21:4 Haughty eyes and a proud heart, the lamp of the wicked, are sin. be assured, he will not go unpunished. That in Psalm 31:23 it says He recompenses the proud or in Psalm 18:27 the proud will be brought low. So instead of a prideful heart, I know I need to be more humble. Micah 6:8 says He hath showed thee, O man, what is good; and what doth Jehovah require of thee, but to do justly, and to love kindness, and to walk humbly with thy God? Proverbs 15:33 says The fear of the LORD is the instruction of wisdom; and before honor is humility. So here are a few verses to help us put our pride in check. That or worldly desires will mean nothing next to our place in Heaven. I pray to always be a servant leader without asking… what’s in it for me? I pray for us to live with humility and selflessness knowing and trusting that God has a perfect plan for all of us. Our greatest plans won’t ever compare to the reward in Heaven through a selfless, humble, and faithful life. God told us it wouldn’t be easy. We need to continue to trust and have faith in His plans for us! What do you need to let go of? To humbly ask Him to work on your heart. To put away our earthly desires and spread His good news! Have a blessed Tuesday in all you do. 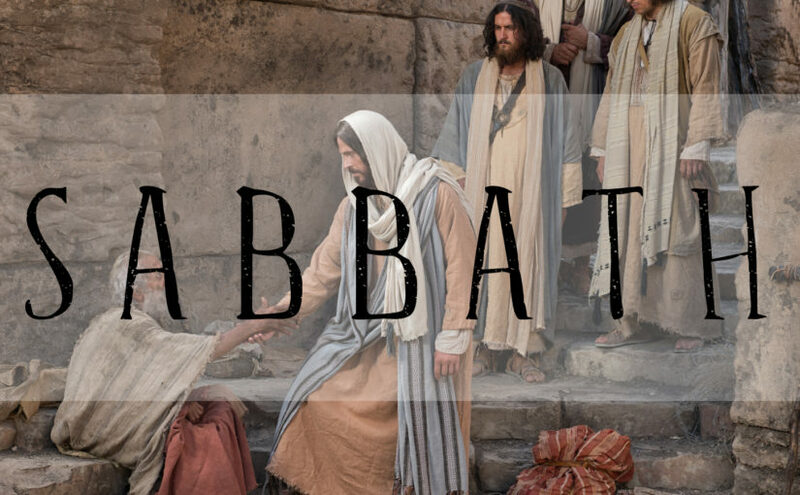 In Matthew 12, Jesus tackles both the Pharisees misunderstanding of the law and the Sabbath. Keeping the Sabbath holy was one of the Jewish laws that was taken very seriously. And an easy target for the Pharisees to use against Jesus, as He was performing miracles on the Sabbath. Read through this chapter – do you wonder if Jesus had any sarcasm in his tone? Or were His responses simple and straightforward? There are people who think that if you do anything on Sunday other than sit and read the Bible, you have entered into sin. When I was a little guy growing up, I can remember when you were not allowed to do anything on Sunday that even remotely resembled recreation. We came home in our Little Lord Fauntleroy suits, with the little stiff collar, and a little tie, and sat on the couch all day. Couldn’t read the funny papers, couldn’t read the sports page, couldn’t look at television, couldn’t go out in the yard and play catch, couldn’t take a walk. We sat. The only sin we could commit, and we could commit that sin all we wanted, was the sin of gluttony. We could literally gorge ourselves on Sunday. And, of course, most of the women spent all morning cooking up this massive meal by which we sinned all afternoon, but couldn’t – but couldn’t run it off. And so we were stuck with the consequence of our evil. But that sin was tolerable. When we read Matthew 12 (or even John MacArthur’s experience) we may scratch our heads and think “come on, Pharisees, WAKE UP”! You’re missing the spirit of the law by focusing on the letter of the law! Jesus came to fulfill the law – what is so hard about this to understand! But when we start to examine our own hearts and even the modern church, we can still find ourselves in a place of judgement and missing the intent of God’s ways. As much as we want to be everything but a Pharisee, our perfection-seeking, works-based theologies can lead us to the heart of a Pharisee. This past spring I was in the thick of a marathon training cycle, filled with Sunday morning long runs. I love my time on the road – time to think, pray, meditate, sing, focus, oh…and RUN! At the same time, these runs left Sunday mornings a scramble between getting my family to church on time, not being exhausted the rest of the day, etc. While I love the run, it did make my Sundays “fuller” than I would prefer. I mean, nothing says rest like a 20 miler before 9am church! In this same cycle, my training “rest days” of no activity for muscle recovery were Fridays. For some reason, Fridays were anything but restful. While I wouldn’t be pounding the pavement, the days were full of other responsibilities that were anything but restful. I left the training cycle with an idea. As much as we try to protect our Sundays as a Sabbath and day to rest in the Lord, oftentimes it’s just NOT. Between the rush to church, serving others at church, prep for the week ahead, and other commitments, it’s never a true and full day of Sabbathing. Idea: What if our family had one day set aside as a full and complete true Sabbath day. No commitments, school, sports, activities, training. No place to go, no chores, no laundry, ABSOLUTELY NOTHING. Not even church. Technology free. Meals prepped, clothes laid out, ready to Sabbath. Just people spending time with the Lord, doing whatever the day brought with time praying, listening for promptings from the Holy Spirit, dreaming, sharing. Doesn’t that sound so wonderful!? We have a Saturday selected this fall and we are going to make it happen!! I don’t want to wait for a vacation away for a true full day of resting in the Lord. I can’t help but think of Peter singing (shouting) this song as he was helping to build the early church! From the moment he was called by Jesus to be a disciple and follow him, he was a learner. Peter asked all the questions, had doubts, and had real fears. Jesus continued to surprise Peter with his parables, life lessons, and responses to his questions – even down to Jesus telling Peter he would deny him three times. Can you imagine? And then to experience everything Peter did through Jesus’ crucifixion, resurrection, ascension, and then the Holy Spirit coming to them. He had quite a testimony! As he was building the early church with Paul, I have to think that his time walking on the water with Jesus was huge in his faith journey, and a point he could always go back to. When things would begin to crumble around him, Peter could remember that he is a wave walker! Jesus not only did miracles in front of Peter – he did miracles THROUGH Peter. When I asked my daughter what she knows about the real story of the wave walker, she quickly replied that Peter was in a boat and a storm came and Jesus was there and walked to the boat from the shore. 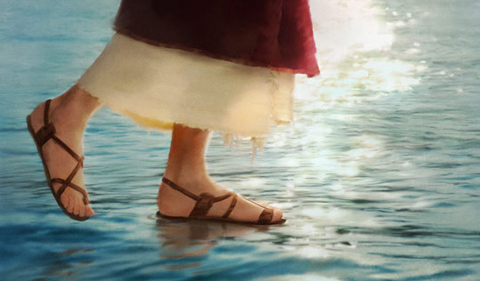 He gave Peter the power to walk on the water, and as soon as Peter took his eyes off Jesus he would start to sink. But if he kept his eyes on Jesus he would not sink! I love the matter of fact faith that kids have – it’s humbling and challenges me to not overcomplicate things. . 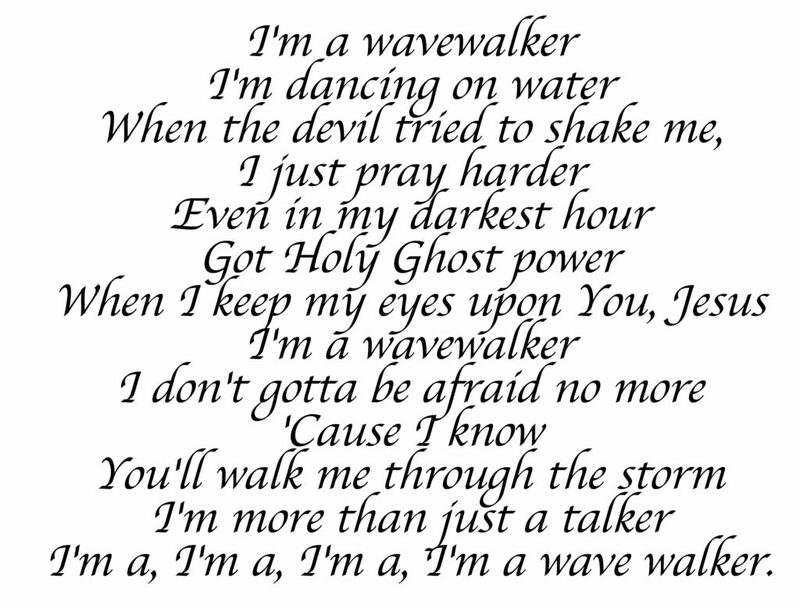 Pure and simple, keep our eyes on Jesus and we can be wave walkers too! What miracles has Jesus done in your life? What’s your anthem of praise for who He has created you to be? Have you ever gotten lost as a small child? Most of us can remember that helpless overwhelming sense of fear as we searched for our parent in a store or at a busy outdoor festival. Even as an adult I can recall that visceral feeling of my heart pounding, my eyes welling up with tears as I shouted for my Mom or Dad. As a parent, I’m now standing on the other side of that equation. Every time I take my three children to a public place I find myself endlessly counting to three as my eyes dart around looking for each little head curls. Of course as a child you believe that when you grow up you’ll leave all that fear and dependence behind. You believe that adults are in command of their world and can control their own circumstance rather than be controlled by external forces. It’s laughable, right? If only children knew just how much less control we have as grown-ups! If only they knew that we too experience the fear and the reality of being lost. That like them we experience abandonment, isolation, persecution and loneliness. We don’t share that part of ourselves with children because it’s our job to protect them. We shield them from the worst of things and show them the best of things. And, in turn our Father does the same for us. A lost sheep is totally defenseless. Having no weapon or benefit of speed, all he can do is cry, which signals his enemy to close in. The sheep has no sense of direction or gift of scent. He is surrounded by enemies; whether predators or simply the elements of nature. And when that lost sheep is separated from its herd it is all the more vulnerable to the cunning wit of his enemy. Just as our children are like our sheep, so are we the Father’s. When wander off from Christian life, we are vulnerable. The predators of our world close in, and all we can do is cry out to God. 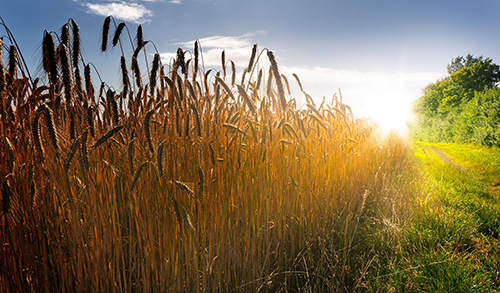 What are the bright and shiny things that can lure us away from our Christian flock? For me, it’s getting out of the habit of being in His word each day and getting into the habit of sleeping in, watching too much TV, too much focus on materialism and money. Suddenly, I find myself far far away from the place I want to be in my journey with Jesus Christ. Although I am just about as defenseless as a baby sheep in God’s eyes, I do have a sense of direction. I do know the way back to God. Jesus tells us that God “rejoices over it more than over the ninety-nine that never went astray…” Matthew 18:13. What that means is that there is everlasting grace for those who are lost. 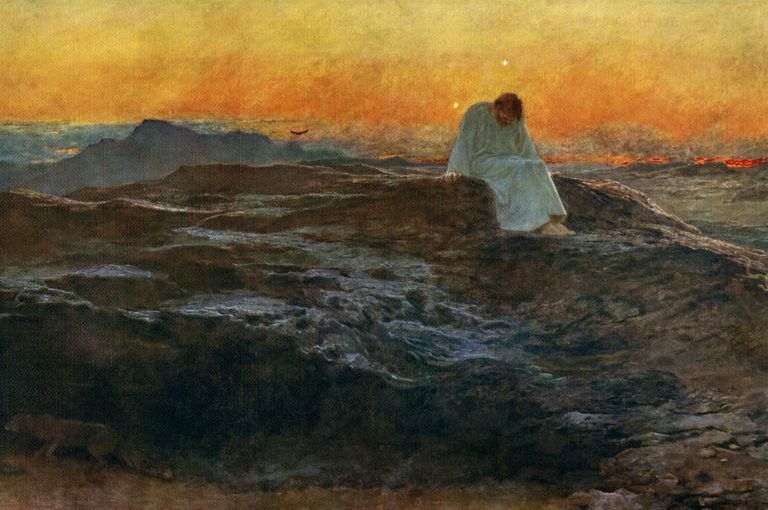 If you are reading today, and you feel like you are a sheep on the mountain, cold and alone, call out to Him. Follow that path that has led you back to Him before. And if you are reading and you’ve never found God, start in His word. Read, and He will find you. And just like the difference it will make of putting those new bulbs in, Jesus said, “We are the light.” In the midst of seasons or circumstances, are we like the bulbs I needed to replace? Do we still shine bright in the midst of our busyness? Are we shining bright when faced with adversity? Here is our reminder for this Tuesday. By His grace we have been given an eternal kingdom, a Living Word that is breathed by Him. Isn’t it great to know we have a Father that cares more for us then anyone! He willingly sent his own son to live a perfect life and provide us with an example of the light we should be shining for others today. I’m praying our 811 readers are reading today and understand the light you are able to shine on others today. That no matter our current circumstance, God has great plans for us! That on this short term camp out here on Earth we have the opportunity to share this light with others who are still living in darkness. Think of the difference we can make in our workplace, neighborhood, community. Praise God! Let His light shine today through you. If you need a new bulb, put it in! If the switch needs to be hit, do it. Praise God! This weekend I had the opportunity to share a life verse with my son Jackson as he moves over to the next Sunday school classroom. It was Joshua 1:9. 9 This is my command—be strong and courageous! Do not be afraid or discouraged. For the Lord your God is with you wherever you go. You brought us out of the dark. You gave us light and asked us to share this good news with other so they can see to. God help it not to be our words but yours. God we love you and ask for your support and guidance we need in holding Your name high and sharing, so all can hear, see, and be part of Your kingdom one day. Come, let us sing to the Lord! Let us shout joyfully to the Rock of our Salvation. I have LOVED the past week’s focus on prayer. Ever since BJ shared ‘for the next several days, we get to assess our theology and see how it is revealed through our prayers’, I can’t stop thinking about what my prayers say about my theology. It’s been equally humbling and challenging for me to ponder. As we move through the Lord’s Prayer, verse 12 STOPPED ME IN MY TRACKS. Forgive us our trespasses, as we forgive those who trespass against us. The first half of the verse – YES, PLEASE – we all want the perfect forgiveness that God promises. The second half – YIKES – I do NOT want God to forgive me AS I forgive others. Wait…does the “as” mean “like” or does the “as” mean “at the same time”? Either way, NOT IDEAL!!! Jesus hits me right between the eyes with this one. We have the first half of this where we need to verbally ask God for His forgiveness, and the second half calling us to forgive like He does. But how? How do we model His forgiveness? And how do we seek forgiveness from God (and others)? God doesn’t require perfection when we seek forgiveness from Him…yet we can struggle forgiving others when they don’t seek our forgiveness in a perfect way. Forgiveness comes easier when the trespasser asks for it, shows true sorrow, and wants to change. 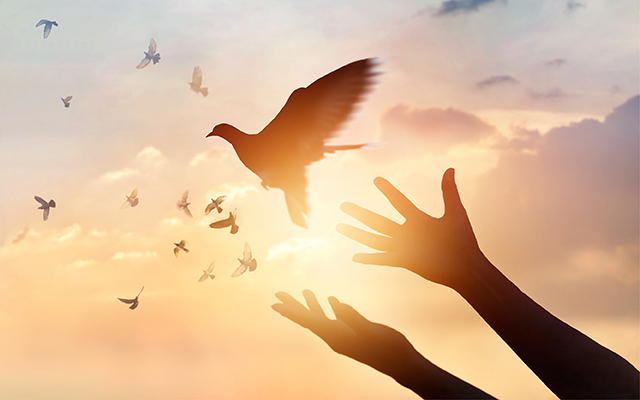 Forgiveness flows more freely when they humbly come with an understanding of how their offense harmed you, and they seek restitution or some way to make things right. There aren’t excuses, justifications, or accusations. Wow, if every sin against us could be committed by a perfect forgiveness seeker, this would all be so much easier! At the same time, our own forgiveness-seeking conversations with God can be pretty pathetic, would you agree? I know mine are! And yet, He forgives us. Every time! Immediately! God forgives us amidst our imperfect forgiveness-seeking! He blots out our sin (Acts 3:19) and removes it as far as the east is to the west (Psalm 103:12). When we are on the other side of this, acting as a forgiver, it can be much harder when the trespasser doesn’t perfectly seek forgiveness, or even worse, they don’t acknowledge the trespass at all. And yet, we are still called to forgive. Why? Why does God care if we forgive others? I believe it’s because He knows that an unforgiving heart harms us more than it ever will the person we aren’t forgiving. God calls us to forgive others, for our own benefit. You remember as a kid when your parents would give a consequence and say it’s because they love you? Yeah, this feels like one of those times. God calls us to forgive others, not just because He loves them and forgives them too, BUT BECAUSE HE LOVES US. He wants unity for us. He wants peace for us. It’s for our own good, even though in the moment it is HARD. And How? How do we forgive people in our world? The only way is with the power of the Holy Spirit. It’s not in our sinful nature to forgive, but by the grace of God, we can extend His forgiveness to others. We can’t go solo on this one… I know when I have tried it on my own, it is imperfect and short lived. My version of forgiveness becomes a cheap imitation. It’s like lipstick on a pig – and the lipstick WILL COME OFF. And my unforgiving, vengeful, pig heart is what’s left. Do you know what I mean? What sin do you need to confess to God today? Let’s die daily to sin, call it what it is and confess it. Do you need to TRULY BELIEVE in His promise to forgive you? If you’re seeking forgiveness over and over for the same sin, TRUST HIM. He wants you to believe that He forgave you the moment you first repented and sought forgiveness. Are you struggling to forgive someone today? We may choose and work toward forgiving someone (on the daily! ), and the healing and reconciliation still take a lot of time and effort on this side of heaven. Do you need to seek forgiveness from someone today? Romans 12:18 calls us to live peaceably with everyone as much as we are able, and to be reconciled to one another (Matt 5:23-24). Thank you, God, for your forgiveness, even in the middle of my own imperfectly forgiving heart and imperfect forgiveness-seeking. Thank you for modeling forgiveness for us. God, I need YOUR POWER to truly forgive with my whole heart + mind. I confess to you that I imperfectly forgive and I need your help. Create in me a pure heart! Move me from being Forgiven to also being a Forgiver! I will admit, I LAUGHED OUT LOUD when reading this month’s outline for the Bible Journal project. A deeper focus on one topic, maybe just one verse. I scroll down to my assignment: April 14th, Divorce, Matthew 5:31-32 and Psalms 63. Lord, you really are just hysterical sometimes! My parents are divorced, I married someone that is divorced, and my own marriage has been on the brink of divorce. I don’t know if this makes me a subject matter expert, or so completely biased that I’m the last person that should be journaling today. HA! As Jesus addresses all of the different topics in His sermon on the mount, He explains, clarifies, and helps us find FREEDOM in living more fully focused on God. 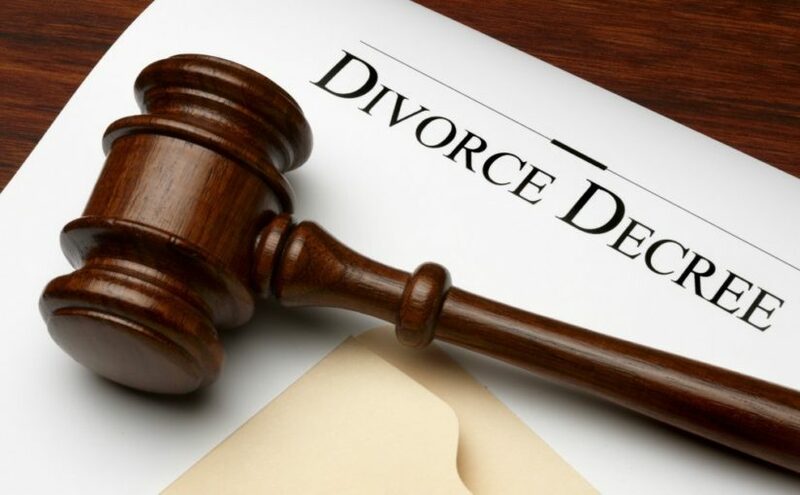 Specific to divorce, He reminds us that when separating/leaving your spouse, you need to give a legal certificate for divorce (don’t just stop living with them). He explains that without the actual certificate of divorce, you would be causing sin (adultery) if/when the person remarries. He also reinforces the acceptable grounds for divorce – adultery. Clearly the Lord takes marriage vows seriously. They’re not only vows made to one another, but to Him. He doesn’t want them broken, and when they must be, He wants order even in the brokenness. The topic of divorce brings a lot of controversy – today, and apparently ALWAYS – both in and outside of the church. I’m guessing it’s because divorce is the result of sin, which begets more sin, even beyond the divorcing party. Family and friends can find themselves judging, gossiping, harboring bitterness, anger and hatred. Divorce can really bring out all of our ugly. And all of our opinions and infighting. If you are a child of divorced parents, please believe, more than anything, that this is not your fault. Whatever sin was in your parent(s) lives that led to this, it’s not what you wanted and not what God wanted. I hope you know that God wants to help you heal from all of the hurts this brought you. I pray your parent(s) can repent and seek forgiveness from God and from you and relationships can be restored. Most of all, I pray that you can have a deep relationship with your heavenly Father that brings overwhelming love into your life. He loves you, and He knows every tear you have shed (Psalms 56:8). If you are considering separation/divorce, or already in the middle of it, please, take your time. Seek biblical counseling and cling to any amount of hope you can find. Remember, God is still in the business of making miracles! Go to the word and pray for direction. God doesn’t contradict Himself – the Holy Spirit won’t press upon your heart to move in one direction that is contrary to Jesus’ spoken words. Our God is a perfect way-maker – even when we can’t see a way, He goes before us. I can’t always get my mind around the long-term picture, but I can trust Him in this moment, right now. If you are divorced, and there are any areas you still need healing, cry out to the Lord. Regardless of the circumstances of the divorce, almost all parties harbor feelings of failure, guilt, resentment, or unrest. Seek the Lord, He is the best healer and perfect forgiver – He doesn’t want us stuck in a pit of bitterness, shame, sin, or self loathing. He wants to make you whole in Him. All of our life experiences can be used to glorify Him. 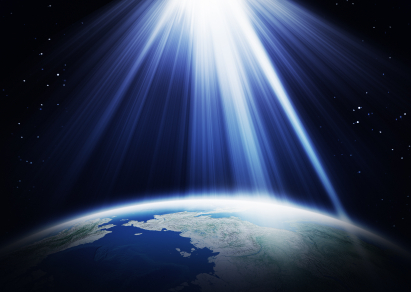 Revelation 12:11 exemplifies how we can be OVERCOMERS – by Jesus’ blood + our testimony of His work in our life. If you are a friend or family member of someone in the middle of a divorce, I have found the best support can be listening and praying. Take a step beyond praying for them, and actually pray WITH them. When asked for advice, leverage the scripture on the areas surrounding divorce. Encourage biblical counseling. Be a source of hope and healing. Try to not get sucked into gossip and slander. Take time to cover yourself in the Armor of God before offering any words. We know that all sin is unrighteousness against God, whether it’s the sin of gossip, divorce without basis, lying, etc. On this side of heaven we may feel the consequences greater of one sin compared to another – but it’s not in our wisdom to rank them and put each others’ sins above or below our own. God wants everything BUT divorce in His relationship with YOU. He wants us reconciled to Him in a committed relationship for eternity! People will fail. God does not fail. He won’t let you down – He’d rather die than live without you! Good Morning Bible Journal Family! Keep reading daily and living out God’s word. Developing yourself and others requires time in His word. Ephesians 4:11-12 says So Christ himself gave the apostles, the prophets, the evangelists, the pastors and teachers, 12 to equip his people for works of service, so that the body of Christ may be built up. Matthew 23:4-5 So you must be careful to do everything they tell you. But do not do what they do, for they do not practice what they preach. They tie up heavy, cumbersome loads and put them on other people’s shoulders, but they themselves are not willing to lift a finger to move them. I heard growing up the phrase, “Do as I say, not as I do” many times at different occasions. So in most cases what did I do? I didn’t listen and did it anyway, often learning the hard way. So in fast forwarding time, now there are times when I have say to my own children, students, family, friends, and others, “Do as I say, not as I did.” Mostly because I learned the hard way and trying to spare some pain. Some of us learn by listening, while others learn by doing and failing or succeeding. God has provided us His perfect living word and provided us a perfect model of these words in His son, Jesus. There are other places in the bible where we find those who didn’t follow, or made up their own version of the law. As we continue to read through Matthew we get to Matthew 23 where Jesus warns us about the hypocrisy in the Pharisees. It’s hard to believe that those who were so familiar with the word and could probably reference and quote whole books of the bible would lose sight of God. Not even realizing they were in the presence of His son Jesus. To the point of trying to disprove Him or get Him to say something wrong(which He never did). The Pharisees had such wonderful knowledge of the law but lacked the true relationship needed. There are so many times where I wish I could just remember that “just right” verse for that moment to share with someone. But I realize that wasn’t the only thing that was holding back these teachers of the law. Often they could put made laws above Gods. They told the rules to everyone but when it came down to them it wasn’t happening. Rules that were followed were to make them look better and not about the focus being on God. Psalm 96:3 Declare His glory among the nations, His marvelous deeds among all peoples. Thank you for your truth. Thank you for washing us clean. Your word continues to shape and form our lives. Our prayer is to not make anything about us, but about You and your word. That as we go about our days with the true meaning of what we do, how we do it, and who we do it for, leading us all back to you and your love. Keep our communion in you close so we know who we live our life for. I pray our words match our actions and always represent you, in which we give you all the glory. The only example we should follow is His. John 13:15 I have set you an example that you should do as I have done for you. I try very hard to look for Jesus in the midst of my daily life. Yet, I often struggle with looking for Him in the wrong places, sometimes even with the best intent and a good heart. Too often, I make finding Jesus much too complicated. Can you relate? Our culture is one that idolizes other people quickly and easily. Entire magazines, shows and blogs are dedicated to the lives of people considered worthy of our attention. We look to people and products for a little “high” of excitement, for fulfillment, and even for guidance. We quickly jump around from thing to thing, and the next big thing seems to always be calling our names just as soon as we get what we wanted a minute ago. Even as Christians, it’s quite easy to fall into this cycle and look to other believers we admire, sermons or podcasts, or well-known Chrisitan authors to provide us the amount of Jesus we need in our day to day life. While these things can be helpful and inspire us to grow, they do not come close to simply experiencing Jesus Himself. Maybe we need a little wake-up call. Thankfully, in Matthew 11, we see some other early believers needed one, too. For a long time, this group of people had been looking to one man for their teaching, for their spiritual growth, and for gaining wisdom. This one man was John the Baptist. Yet, even John himself knew that he was not to be the be all end all of their spiritual walks. John knew that his role was to simply prepare their hearts for the One who was coming. Despite warning his followers that he was not the one who could truly fulfill their hearts, the people still gravitated toward what was right in front of them. Even when the Messiah Himself began His ministry by speaking to crowds, the people who had grown used to following John had to realize something: What their hearts really were longing for had finally come. Fulfillment Himself was there, just waiting for them. Perhaps this week you, like me, need to shift your focus directly to Jesus Himself. We are incredibly blessed to live in a culture where we can readily find Him in Christian books, on our favorite Pandora music stations, in online sermons, and we can always learn from the lives and examples of other believers. Yet, it can be easy to exhaust ourselves by trying to feel Him and find Him in these sorts of places and forget that He’s already revealed Himself to us. Just as in Matthew 11, Jesus was waiting for John’s followers to realize who He was and simply turn to Him, maybe today, Jesus is waiting for you to stop trying to find Him in things and simply seek Him alone. The fact that verses 29-30 are at the end of Matthew 11 is not a coincidence, and I love that. Finding Jesus does not have to be some complicated game or an exhausting process. Today, I encourage you to just look to Jesus and remember that He alone is what can fulfill your heart. He’s already there, waiting for you.